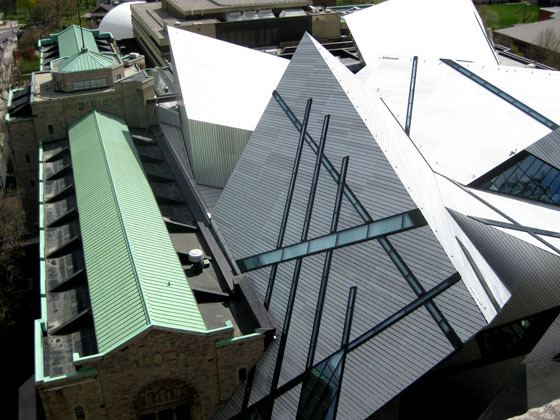 The Royal Ontario Museum and Michael Lee-Chin Crystal are major TORONTO attractions. The Museum is one of Canada’s oldest and largest. 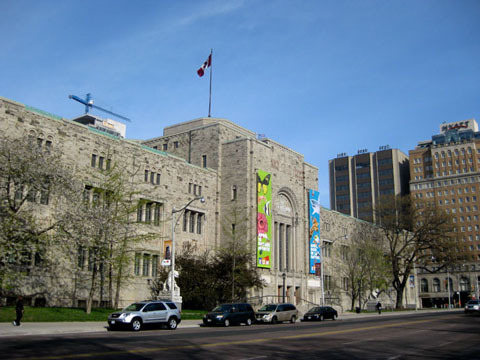 Noted for its archeological research, dinosaur and Asian art collections, the ROM is located in the heart of the Bloor Street shopping district, near Philosopher’s Walk, the Koerner Concert Hall, several upscale hotels, the Hyatt rooftop bar, and the University of Toronto campus. The attached “crystal”, designed by architect DANIEL LIBESKIND, has been a local controversy from the get-go. Some people like it, others hate it. But you can’t miss it. An unbelievable amount of structural steel went into this building.